"Jumping," thought Fred," looks like wonderful fun. I can't wait to grow legs and hop in the sun." 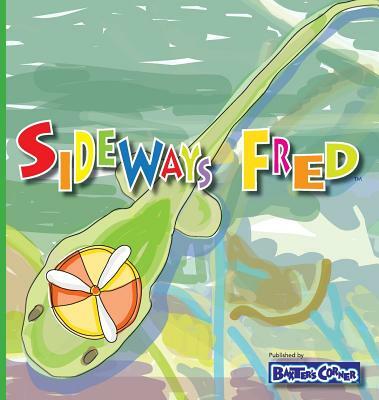 As a tadpole, Fred can't wait to jump just like the older frogs. But one of Fred's new legs is shorter than the other and the jumping coach tells Fred that maybe jumping is not for him. Instead of giving up, Fred figures out a special way to jump. He practices and practices ... until he can hit the target every time. "Parents and educators share responsibility to engender in children empathy and a sense of responsibility. The children's books from Baxter's Corner help adults teach these essential skills through delightful stories. Not only are the characters engaging and their tales charming, the design of each story captivates the imagination of the child. As an educator for 40 years, I appreciate the Go Beyond feature at the end of each story. With the activities in this section, parents, grandparents and educators can turn story time into opportunities for lessons about the impact of the choices we make. We discover fun facts about the featured animal characters as well as questions that develop critical thinking and spark children's creativity. Through the creative process, children develop essential life skills such as empathy, grit, imagination and critical thinking." "Since I live in Baxter County, Arkansas, I had to check out your books and puppets. I am so glad I did The delightful characters and books are perfect for my classroom of special needs children. My students will really benefit from these wonderful social stories. I have turned the reading corner of my classroom into The Gang at Baxter's Corner Reading Club. Thank you for creating these stories."